For many people Finland means the home of Santa Claus, for others it is a fishing paradise. 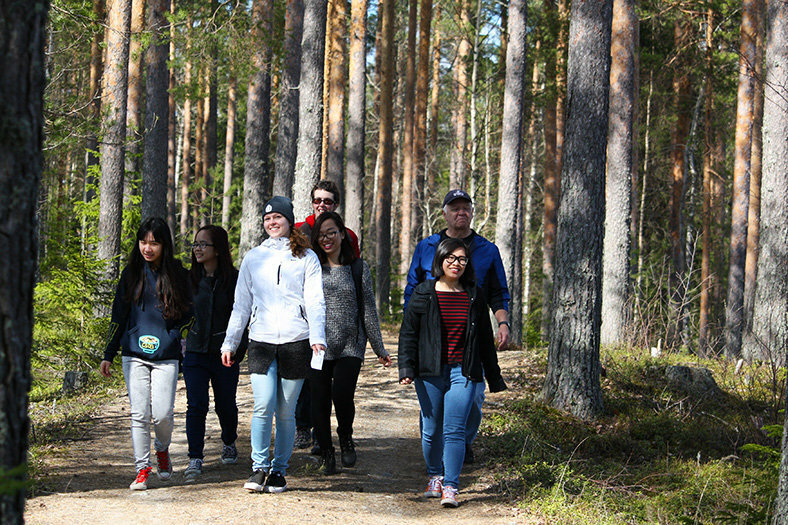 However, this land of thousand lakes and vast green forests is so much more, and there are a lot of different things to do in Finland, much more possibilities than most of us even know. Finland has four seasons and thus here are lots of things to do which are bound to a season, but many things you can do all year round, such as shopping and enjoying culture in many ways. The best parts of Finland may still be the clean nature which is wild but safe to explore and enjoy. There are surprisingly many things you can do in the Finnish nature and moving around in the nature by “using your own motor” is allowed to everybody, thanks to the unique law called Everyman’s Rights. In short, based on this law it is allowed for everyone, as well for Finns as for visiting foreigners, to very freely move in the nature by walking, biking, skiing, skating, boating and canoeing. It is also allowed for everyone to enjoy the bounty of the forest, such as berries and mushrooms, and of lakes which means fishing with worm bait or ice fishing. Almost 90 % of Finland falls under Everyman’s Rights. So you do not need any permits or licenses no pay fees for enjoying the Finnish outdoors. Below, on its own website, you find more in detail about all things that this law allows you to do in Finland. 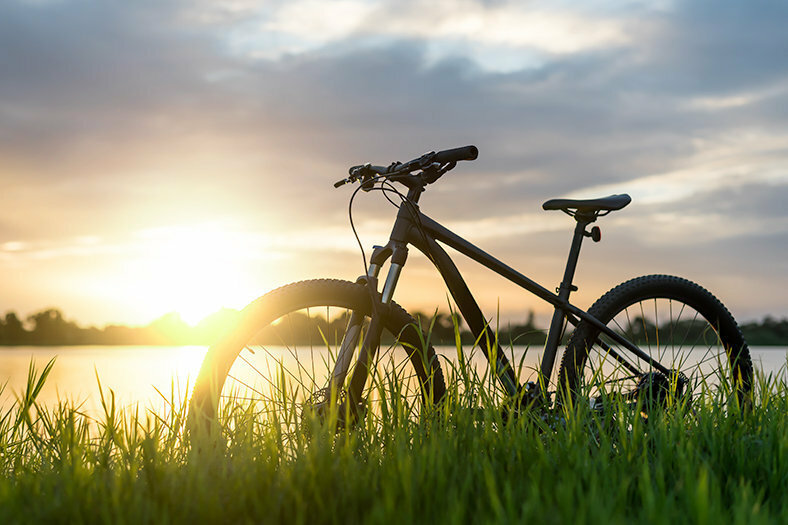 It is safe to bike and hike in the forests and on the thousands of kilometers of forest roads and paths. Everywhere in Finnish Lakeland you have good internet so it is easy to see where you are on some of the map software. 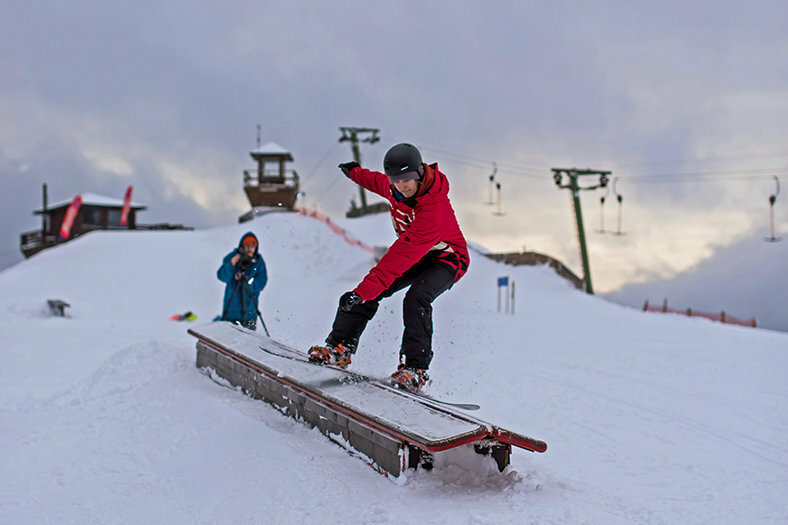 Thus Finland is a super country for you who love outdoor activities in fresh air and surrounded by clean nature. Every Rock and Lake cottage and their surroundings offers these possibilities. If you don’t want or dare, you can just go to the cottage’s yard to sense the freshness, relaxing sounds of nature and the calming silence. 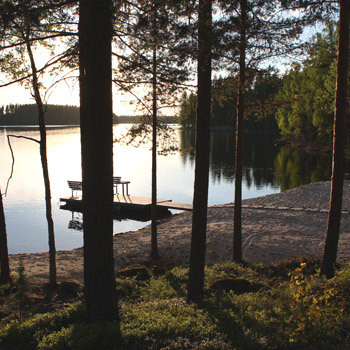 Many things to do in Finland have thus a recharging effect on your batteries and heal both your body and soul. 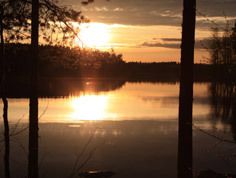 Things to do in Finland during summertime (June, July and August) are visiting numerous summer events, markets, concerts, special Finnish dance halls and enjoying the nature by swimming, rowing on the lake, fishing, canoeing, biking and trekking. Typical Finnish summertime weather is not too hot (typically between +18 and +27 Celsius) and the air is fresh. 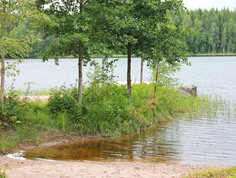 In Finnish Lakeland there are not too much mosquitoes, so also summertime is great time for outdoor activities. 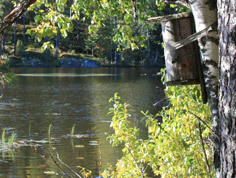 Nearby Rock and Lake holiday homes you find many marked trails and nature paths. For more info check below Trekking in Finland. Trekking is great also in springtime when the nature wakes up and the air is filled with bird song, and in the autumn when the nature slowly is slowing down and prepares to welcome wintertime. 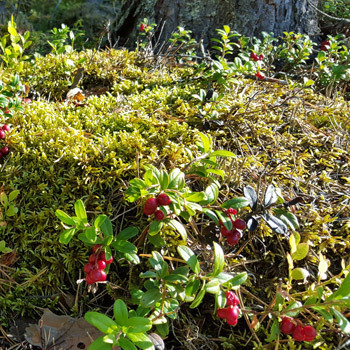 Autumn time, and especially months of September and October, is great time for outdoor activities such as trekking, biking, fishing, canoeing and boating, and of course, pick mushrooms and berries. All these things to do in Finland are allowed to everybody thank to the law of Everyman’s Rights. Examples of things to do in Finland in wintertime are trying a traditional kick sledge “potkukelkka”, cycling with a fat bike, skiing and skating on the natural ice of Lake Soukkio or skating on the ice rink in Kangasniemi. This ice rink is in free use for everybody 24/7. Ice fishing is something every fisherman should try at least once. Special things to do in springtime in Finland, that is April and May, are birdwatching and fishing. 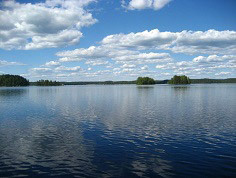 May is one of the super good months for fishing in Finnish Lakeland. 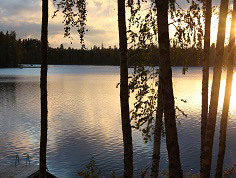 More tips for your holiday in Finland you find on this Reviews and blogs page. 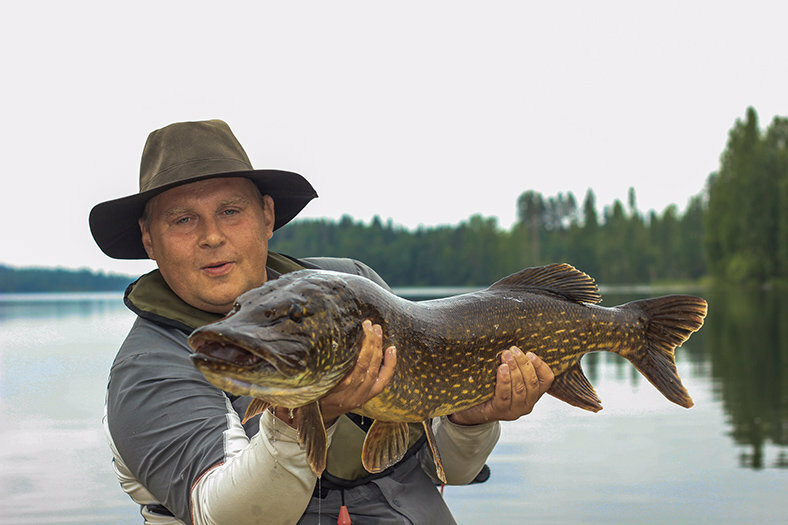 "Fishing in Finland is rapidly becoming a more and more popular activity. 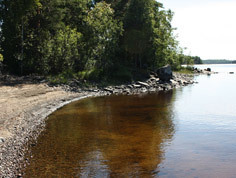 The clean lakes in the Lakeland area are rich in pike, zander and trout." 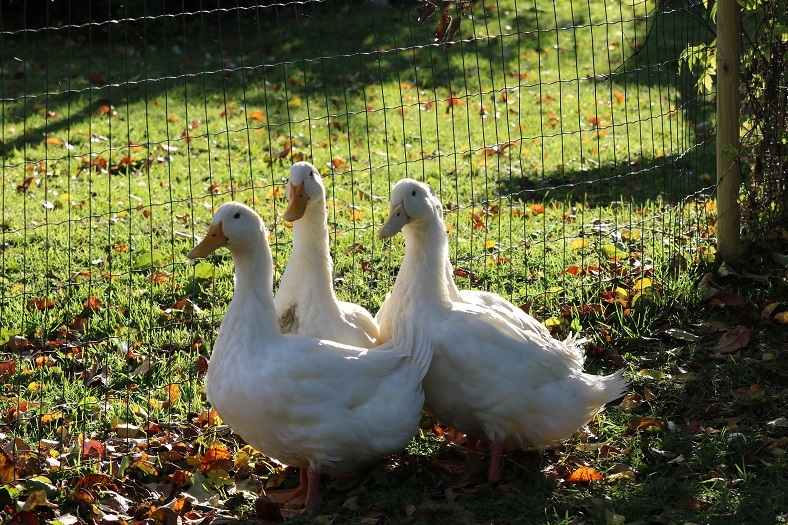 "Enjoy the farm holiday in Finland on Hiidenniemi animal farm!" 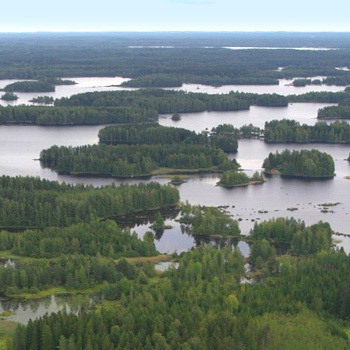 "Almost 90 % of Finland’s surface area falls under the Everyman’s Rights law. This law enable everybody to pick berries, mushrooms and move in forests and on the lake." 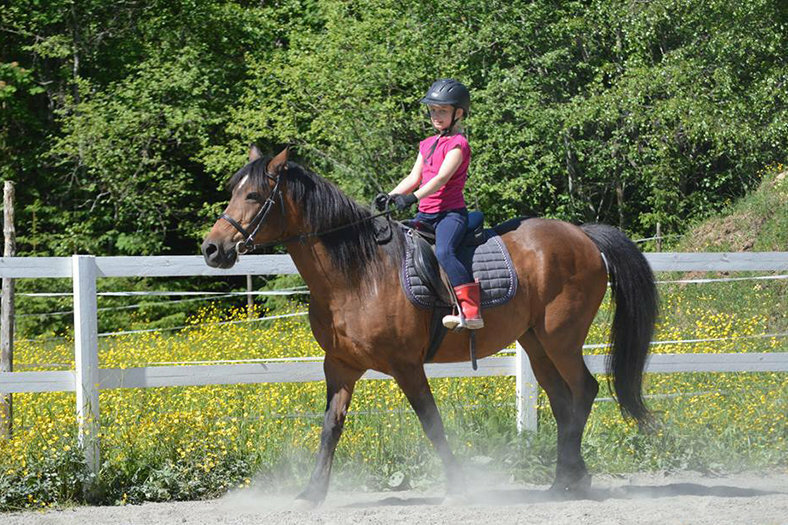 "Haukivuori riding school has riding lessons for both kids and adults. 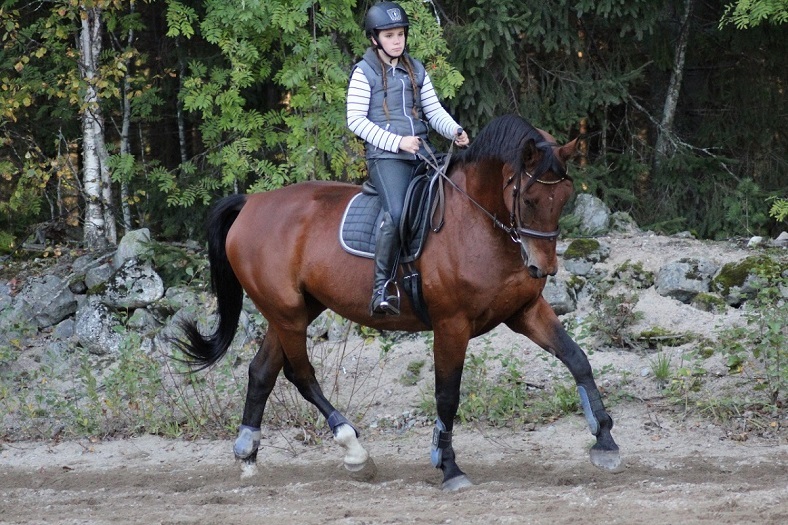 The school is well-known for its excellent teaching and high-quality horses." 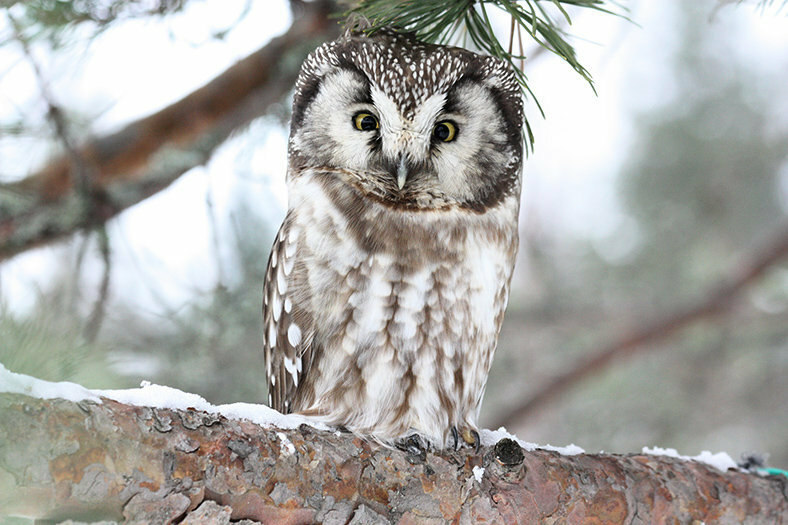 "Rock and Lake offers great circumstances for birdwatchers to experience the birdlife of Finnish Lakeland and boreal forest." 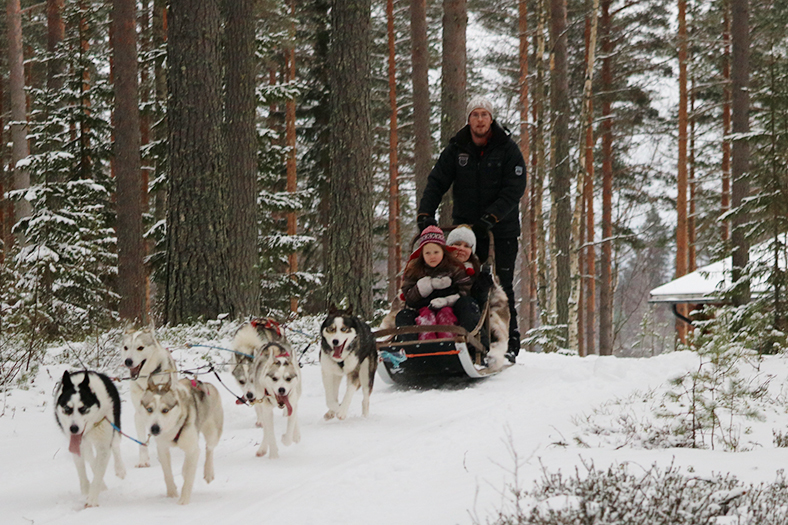 "A husky safari is a great way to enjoy the Finnish winter wonderland! It is fun for everyone: kids, adults and the huskies themselves." 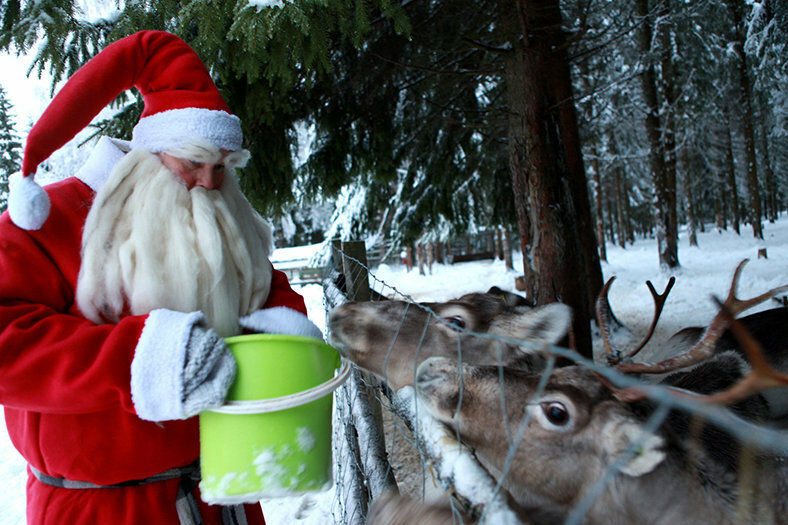 "Come and spend time with Santa Claus and his reindeers!" "In Finnish Lakeland there are hundreds of kilometers of good forest roads and paths, all great for trekking. Also the National Parks are paradises for nature lovers." "In every Rock and Lake holiday home you have at least one sauna in your private use. 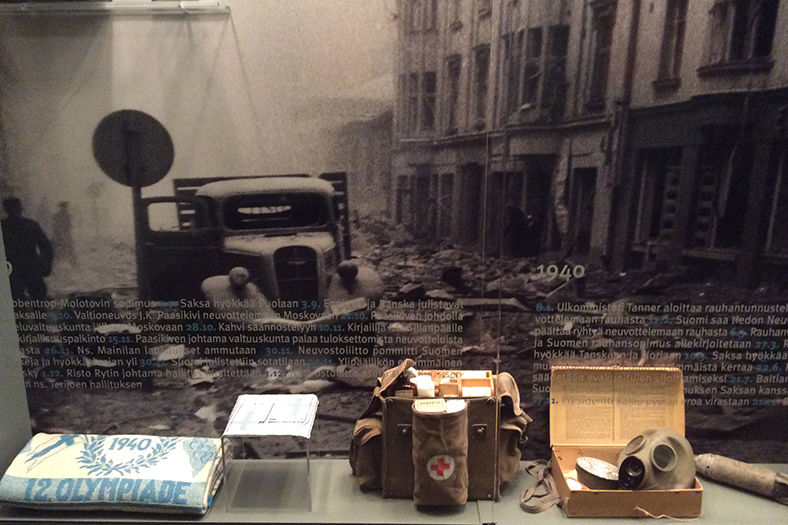 Enjoy, relax and experience something truly Finnish." "Finnish Lakeland is a blue-and-green labyrinth of lakes, streams and rapids, and thus an excellent area for canoeing and kayaking." 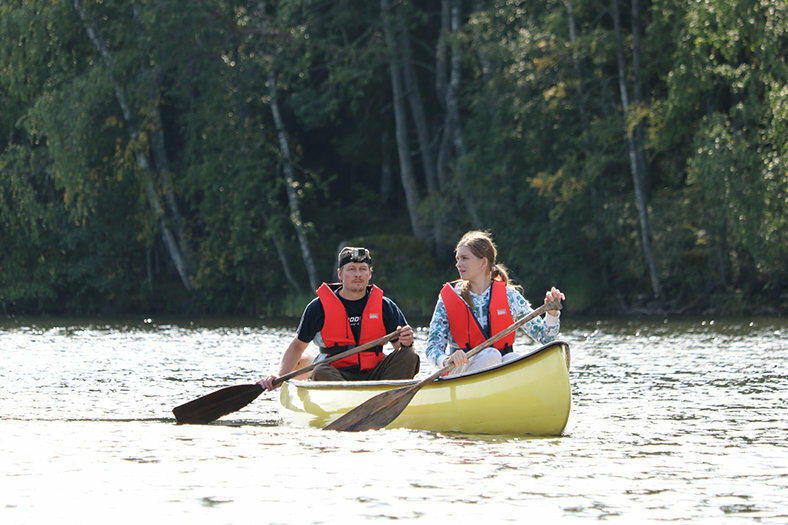 "During you stay in Rock and Lake’s cottages you can take horse-riding lessons and get plenty of positive emotions from interacting with horses. " 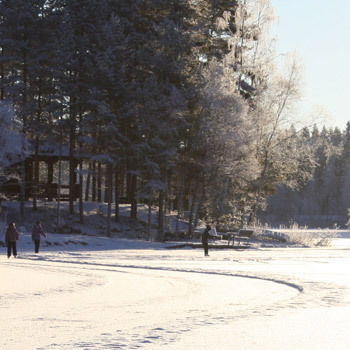 "In wintertime Finnish Lakeland turns into a Winter Wonderland with lots of winter fun activities for all family." 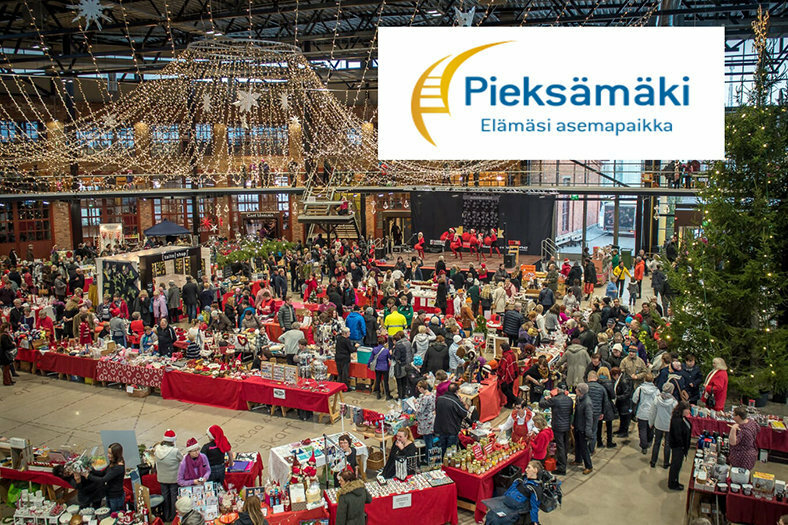 "Pieksämäki city center offers a wide range of shopping possibilities. During the year also many markets are held, such as summertime fair and Christmas time market." "Finland is a good place to do shopping. Mikkeli has a big number of boutiques and shopping centres. In the centre of the town it is possible to find brands of different price category." 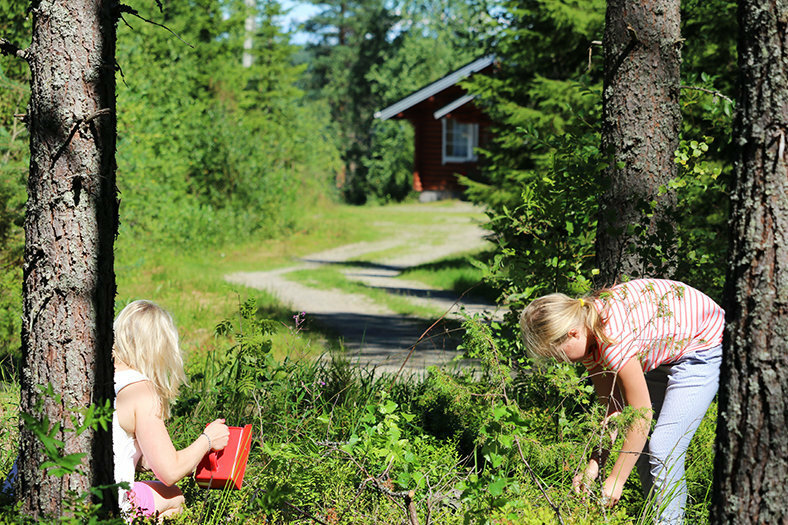 "Finnish Lakeland is a great area also for geocaching. Here are many geocaches in very beautiful places. 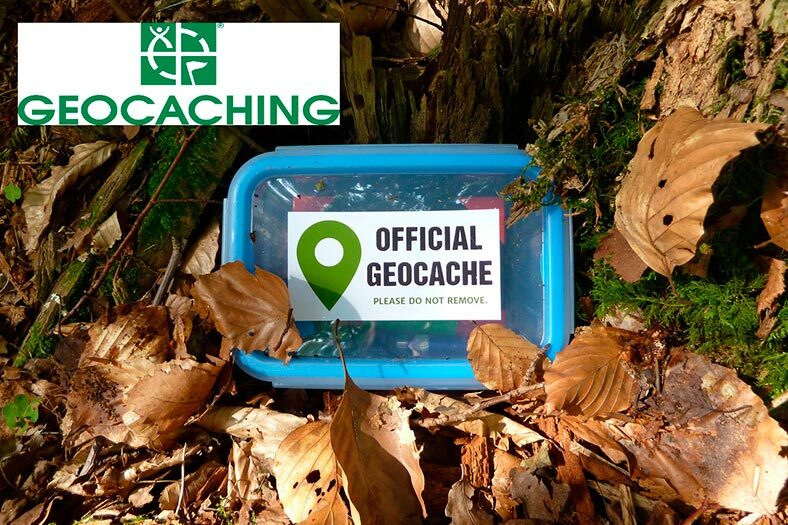 Geocaching here is suitable adventurous activity for all family." "PuulaGolf was voted for 10th place in the latest GolfDigest course ranking 2013 and it is the best ranking, that a 9-hole course has ever reached here in Finland." "Amazing unique nature is the main attraction of Finland which captivates holiday-makers from various countries of the globe. However, Suomi can boast about diverse cultural, historical and architectural monuments as well."